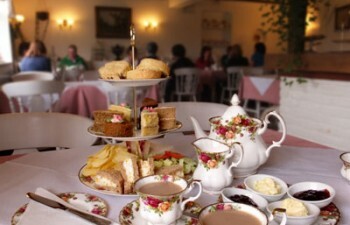 Enjoy a delicious treat in a relaxing atmosphere at this Victorian Style Tearoom. 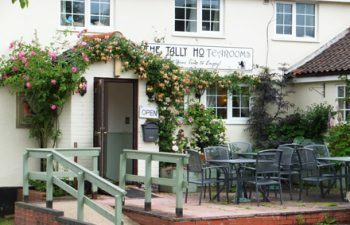 They serve cream teas (and coffee, etc! 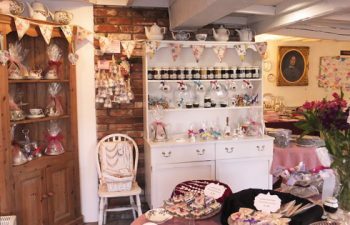 ), cakes, light lunches (such as home-made soups, baked potatoes, sandwiches and salads) and other lovely delights, such as home-made hot puddings. 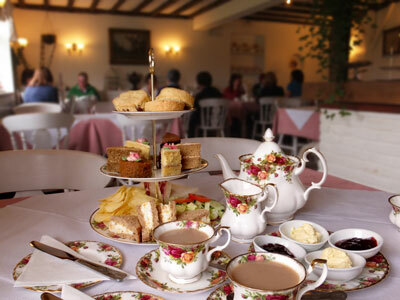 Alternatively take your choice from the changing home-made treats on their specials board and all served on fine china crockery. There is also a Gift Shop area where you can purchase a variety of preserves (including the strawberry jam they serve with their scones! ), chutneys and honey. 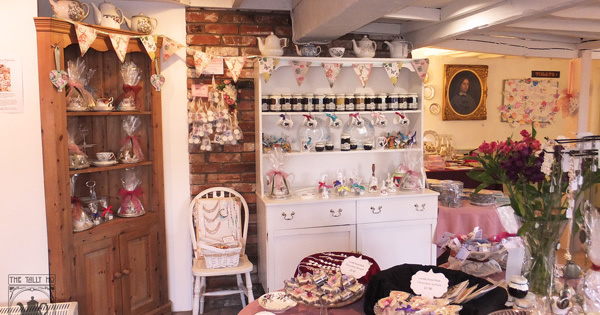 Also on offer are hand packed sweets, hand-made cards and chocolates and an array of other gifts including the Tally Ho Tearooms china mugs. Best of all if you find your full to the brim then you can take advantage of the “Wrap it and Take it Home” Service (or “Doggy Bags” to you and me)! Or you could take a luscious piece of cake home for later for you or someone else to enjoy! The Dining Club is open to all Door to Door members. 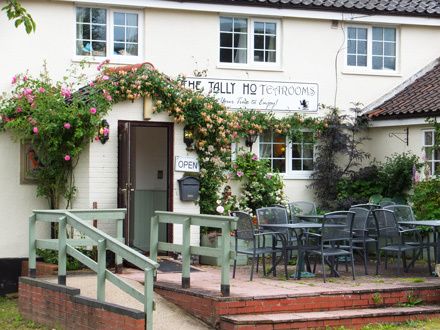 We aim to arrive at the restaurant for around 12 noon and leave at about 2.30pm but of course there may be some change to timings due to traffic conditions and the like.